Hello fellow geeks. 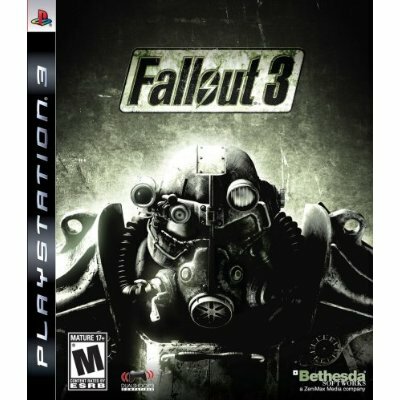 I’m giving away my copy of Fallout 3 for the PS3. I played the game once and have been too busy to continue. All you have to do to be eligible for the giveaway is follow my blog by subscribing with the “follow with google friends connect box,” “like” my facebook fan page, and retweet my post with @iamclosetgeek. Both options are located on the right hand side of my blog, the retweet options is at the top of the blog post. Easy Peasy lemon squeezy. All “Subscriptions” and “Likes” must be submitted by Sunday October 31st 9:59pm eastern time and the lucky winner will be randomly selected at 11:59pm. Please spread the word, re tweet, post on facebook, etc. so are you buying New Vegas? Nope. I have not bought anything for a few months now. I have heard good things about new vegas though. Too many games out right now that I want to get.